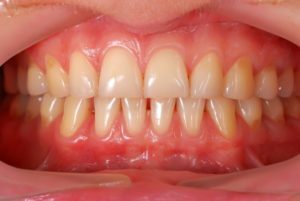 Questions About a Dental Crown or Bridge? Learn More Here! Did you know that the outer layer of your teeth is the hardest substance in your body? In fact, it’s even harder than your bones! Unfortunately, however, that doesn’t mean teeth are indestructible. While your teeth are incredibly strong, they’re still subject to varying degrees of damage from tooth decay and fractures. Thankfully, there are reliable dental procedures that can restore a tooth, regardless of how badly it’s been damaged. Two of these procedures are a dental crown and bridge. 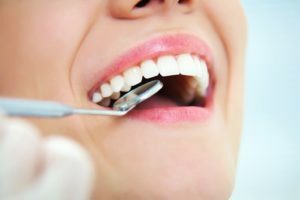 If you have a tooth that’s either missing or badly damaged, you may have been told that you need one of these treatments. Below, you’ll find answers to two of the most common questions about them! Comments Off on Questions About a Dental Crown or Bridge? Learn More Here! 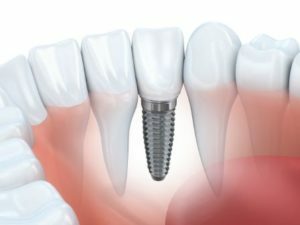 An Implant Dentist Clears Up 4 Common Myths About Dental Implants! Before making any type of investment, it’s a good idea to spend some time doing a little research first. 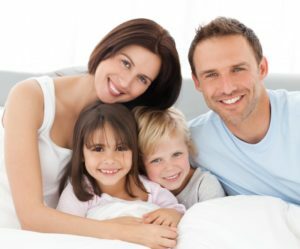 Investments in your oral health are no different! Unfortunately, research in the Age of the Internet can be difficult because there’s a lot of information out there that may or may not be true. 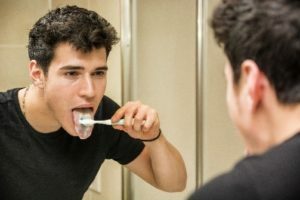 In fact, if you’ve been thinking about investing in your oral health by getting dental implants, you may have come across one of the many misconceptions people have about them. 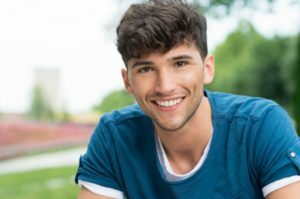 But, before you decide against calling an implant dentist, learn the truth about these 4 myths first! Comments Off on An Implant Dentist Clears Up 4 Common Myths About Dental Implants! There are few things more infuriating than going to take a bite out of your favorite food and being met with a jolt of mouth pain. However, this pain isn’t stemming from your tooth. Instead, it’s coming from the inside of your lip or cheek. When you look in the mirror to see what’s causing the pain, you’re probably met with a white spot. 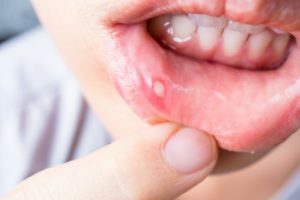 This is what a general dentist calls a canker sore. To learn what they are as well as how to relieve and prevent them, keep reading! It seems like everyone takes their teeth for granted — until they get a toothache. A sore tooth can dampen every aspect of life, making it difficult to enjoy food, treat others to a friendly smile, and concentrate on anything other than the agony in your mouth. 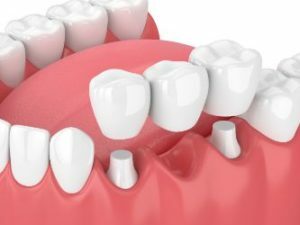 What causes toothaches? Your dentist lists 10 common causes of this annoying, and oftentimes serious, problem.